Moniz Architecture gave new life to an aging apartment complex in Citrus Heights by creating a new design for its exterior façade. 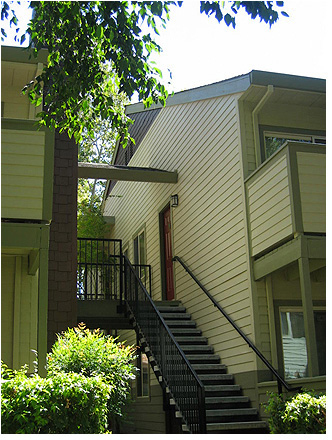 Various water intrusion problems generated the owner’s need to perform repairs, creating the opportunity to re-think the look of the complex, and to plan for a low-maintenance future. New cement plank and shingle siding were installed over existing plywood siding, with thorough attention to flashing, penetration and attachment details. Windows and roofing were replaced. Balconies and patio fences were re-designed and re-configured.